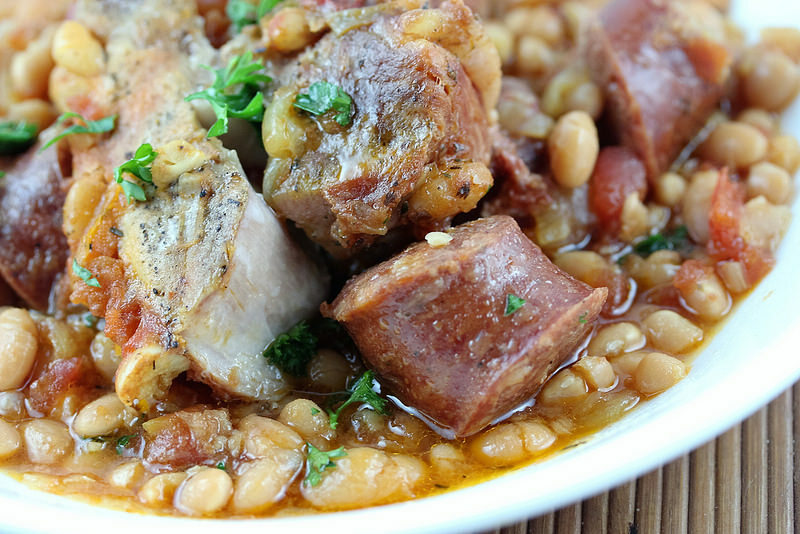 This Slow Cooker Pork and Beans with Kielbasa recipe makes a hearty and delicious super. There is a lot of cooking time involved. If there are things you need to get done during the day this recipe is a perfect fit. To finish it off all you need to do is mix in the parsley. Be sure to keep in mind the beans need to be soaked overnight. Rinse beans and place in the bottom of the slow cooker. In a large skillet over medium high heat using the oil cook the onion, garlic, thyme, and tomato paste until onion is soft and starts to brown. 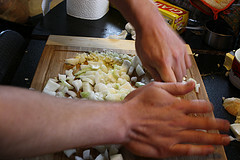 Mix in the wine and scrap any droppings from the bottom of the pan; add the onion mixture to the slow cooker. Mix in the diced tomatoes, chicken broth, Kielbasa, and add the bay leaf. Salt and pepper the pork ribs and work them into the sauce in the slow cooker. Cook on low for 9 to 11 hours or on high for 6 to 7 hours. Off heat and let liquid settle for about 5 minutes. 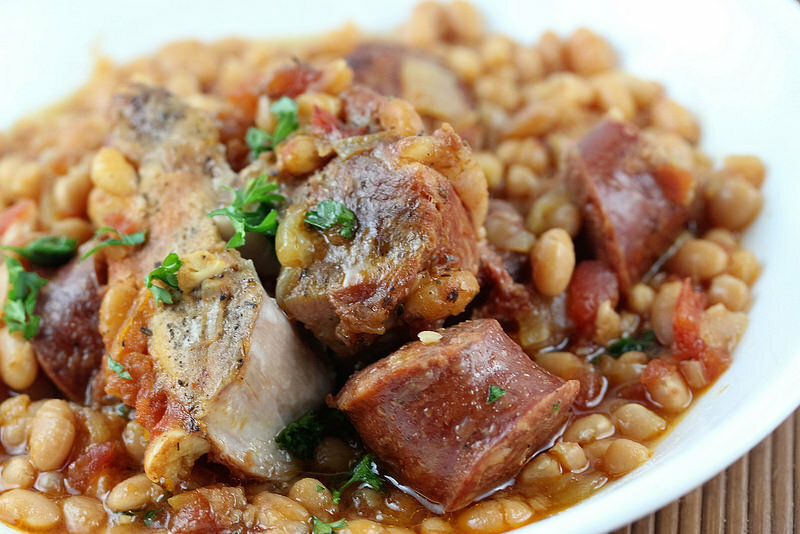 Gently turn the slow cooker to its side to bring liquid to the surface and spoon off any excess fat. At this time I removed the ribs and took out the bones. While the ribs are getting cool enough to handle mix in the parsley. Return the now boneless ribs to the slow cooker and serve hot.